I was debating Changing our Behaviour: What is the role of government? recently with Peter John, Professor of Political Science and Public Policy at University College London and an adviser to the Behavioural Insights Team at the Cabinet Office. As far as I’m concerned when it comes to our behaviour government doesn’t have a role. But, more to the point, why all the talk about ‘changing our behaviour’ in the first place? The very language is degrading. As I told the audience, you and I are not laboratory rats that exhibit this or that behaviour. We are citizens; we make up a civil society. We live in what is generally understood to be a liberal democracy. The role of government is to represent us. To come up with a set of ideas. To help to shape society for the better. 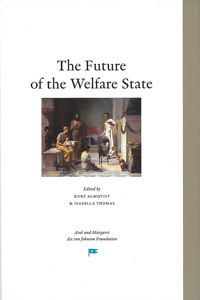 To lead us out of economic crisis or maybe tackle the crippling problem of welfare dependency. Of course it has fallen short of such expectations. But that doesn’t mean it should tell us how to behave instead. And yet the policing of people’s behaviour has come to fill a hole where politics used to be. The politics of left and right has given way to endless lectures about our right and wrong behaviours. Whether its public services creating better citizens, public health zealots telling us we need to change our lifestyles or no-less zealous environmental campaigners claiming that putting the right bit of rubbish in the right colour wheelie bin will save the planet … we are forever being told to behave ourselves. Even the shocking scenes of unruly youth setting fire to their own communities in last summer’s riots are understood through the prism of behaviour. Barely before the smoke had cleared these unprecedented events were being used as a pretext for intervening in the poor parenting and anti-social behaviour of an improbable sounding 120,000 ‘problem’ families. But surely this summer’s celebration of the seemingly superhuman sporting achievements we call the Olympics is immune to the demeaning interventions of the behaviour-changers? As my next blog for the Huffington Post will explain … far from it! Posted on August 9, 2012 Categories Behaviour, RiotsLeave a comment on Behave!